which is the safest natural bonding agent available for easy application. Prebond Hair There are 3 products. Our Stick/I-Tip is made of superior hair that can be curled, straightened and dyed to match your own hair perfectly. Our Flat Tip is made of superior hair that can be curled, straightened and dyed to match your own hair perfectly. Our Nail/U-Tip is made of superior hair that can be curled, straightened and dyed to match your own hair perfectly. This price is for 1 Pack of 25 Strands. 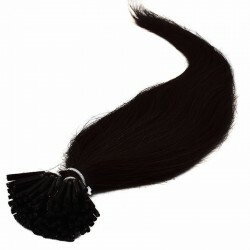 The Hair is silky soft, no shedding and tangle free. Each Strand is bonded with the highest quality Italian Keratin Bond.